With nearly 30 year's experience in the industry, we have drilled numerous vertical and horizontal wells employing the latest technologies. 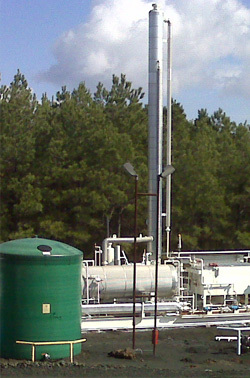 Bralex Operating LLC has extensive operational experience utilizing production techniques involving beam pumps, ESP's, and gas lift technologies. Additionally, Bralex Operating LLC has operated amine plants, JT plants, and refrigeration units to assist in natural gas production. To reduce risk and increase the returns for our stakeholders, Bralex Operating LLC supplements its own expertise with that of industry-leading advisors consisting of geologists, production engineers, reservoir engineers, landmen and attorneys. Project quality is imperative and we will never engage an acquisition or drilling program unless it has been thoroughly reviewed and confirmed by both our internal professionals and our outside experts.